Iconographic productions, these DVDs are shot directly from the original art and are word-for-word narrations of the book text. Public performance rights included. DVD WITH EXCLUSIVE AUTHOR AND ILLUSTRATOR INTERVIEW! 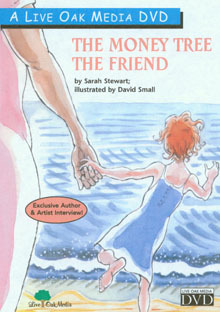 The first book and the most recent one on which Sarah Stewart and David Small have collaborated are featured in this two-title collection. In addition, an exclusive interview with the author and illustrator, highlighting their partnership, is included.